Michael David is a sensitive trained tarot reader who is available for video readings thru Skype, or phone readings. He has been a reader at New Age bookstores on the West Coast, from the Crystal Cavern in Oregon, to The Village Pearl, in Vancouver, Washington and Learning Light in Anaheim. He currently resides in Southern California, reading Tarot at A Place of Peace in Ventura CA, or at private events. Ask specific questions, or general life readings of your life now, or in the next year. You can also ask the true nature of a person....or the spiritual lesson of an ongoing problem. Ask about a past event that has puzzled you, and why it happened. 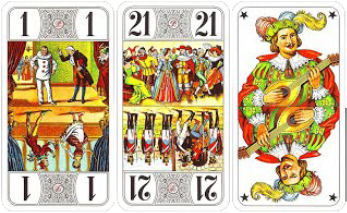 Tarot offers insight, and helps you clarify your values. Disclaimer: Tarot is for entertainment purposes only. Use wisdom, discretion and judgement when making life decisions! Readings are $59 for an hour session. This is about half the price of his readings at a Southern California new age store. Yes, you can split the same session with a friend. Paypal will send me your email. I'll contact you and get your phone number, or Skype name, if you want a video call. On Skype, you can see me, and the cards on camera. Office Depot or similar stores sell simple cameras for $20. There is no phone charge, Skype is free.